Who Uses ColdFusion? What is ColdFusion? Why use ColdFusion? ColdFusion is a web programming language that (in a nut shell) allows a web page to communicate with a database. It lets a programmer create dynamic web pages on the fly that differ depending on user input, database lookups, time of day or whatever other criteria you require. ColdFusion pages consist of standard HTML, together with CFML (ColdFusion Markup Language), for example "CFQUERY", "CFIF", and "CFLOOP". 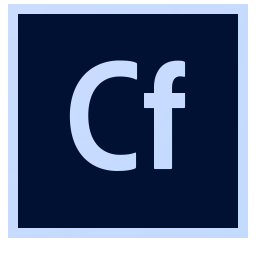 ColdFusion was developed by Allaire in 1995, acquired by Macromedia in a merger in April 2001, and bought out by Adobe in December 2005. ColdFusion is now stronger than ever with the release of ColdFusion version 2016 which comes packed with features like HTML 5, dynamic charts and graphs, enhanced security, mobile website development, and increased performance. In a ColdFusion application you can introduce an incredible range of functionality that is not available in static web page. It gives you the ability to control the behavior of your website, integrate a database, and dynamically generate the content that is returned to the web browser. When a ColdFusion web page is requested by a browser, it is automatically pre-processed by the ColdFusion Application Server and then instantly generates an HTML page which is returned to the browser. Watch this short video that showcases ColdFusion technology. Simply put, ColdFusion has a sticker price of (at this moment) $1,399 to purchase a license and install on your web server. But on average it takes 30% less time to develop a medium sized application in ColdFusion than its competitors PHP, ASP or .NET. If you multiply this by only 3 projects you have already made your money back in savings when compared to paying a PHP programmer by the hour to create the same functionality and you've only just begun. Speed of development is the key with ColdFusion over other programming languages. ColdFusion can do the same exact thing as PHP, ASP and .NET only faster. More than 300,000 developers at over 10,000 companies worldwide rely on ColdFusion to quickly build and deploy powerful web applications. And with more than 125,000 ColdFusion servers deployed, ColdFusion is one of the most widely adopted web technologies in the industry. A total of 643,663 websites use ColdFusion.